Ready to Launch Your Online Course? The next generation of Zippy Courses is here - and it's not just another "piece of the puzzle." 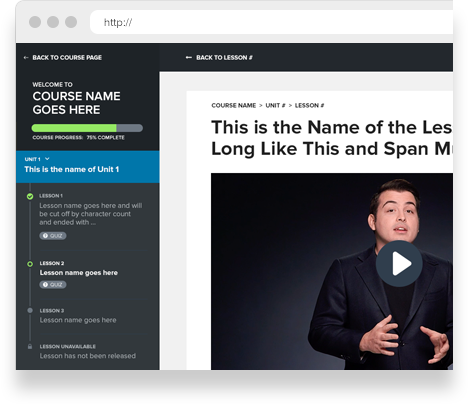 Zippy is an all-in-one tool for teaching & selling your online course. Built by course creators for course creators. If you want to be first to experience it, enter your email in the form below, and click "Get Your Invitation"
Some tools are optimized for "sales." Other tools are optimized for "teaching." As a course creator, you need both. And until now, you had to piece it together yourself. But Zippy gives you the best of both worlds. It's one piece of software, optimized for creating, selling, and running your online course. 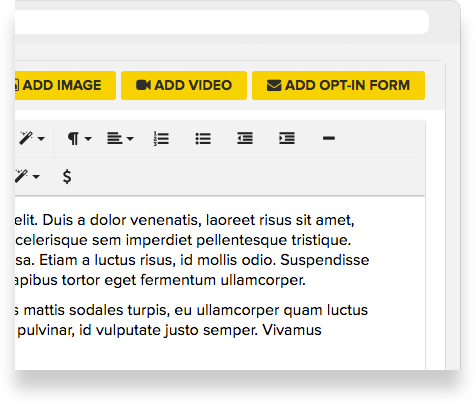 Zippy makes building your course quick and easy. No more tech-headaches and no coding skills required. Just create a new lesson, upload your content, and you're done. Of course, you can rearrange, edit and update your course at any time. Let’s put it like this: If you can point-and-click with your mouse, you can build your course with Zippy. How would you like to increase your course sales by 25%? Well, if you don't offer a premium version of your course, you're leaving revenue on the table. 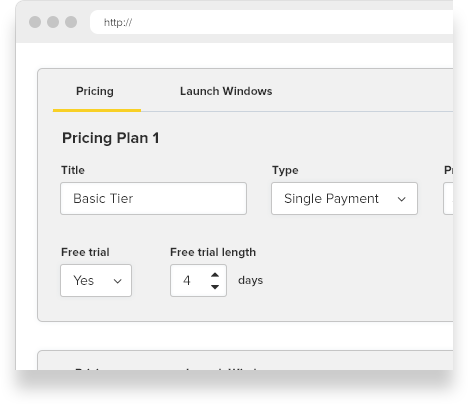 That's why Zippy allows you to create “access tiers.” So, instead of just selling one course at one price… you can create one course with multiple tiers and sell it at different prices. With Zippy you can sell your course as an “evergreen” course or you can open and close enrollment. This is important, because up to 75% of sales of online course often happen right before enrollment closes. That’s why Zippy works with a "Launch Window" attached to your course. This determines when your course is open for enrollment and when it's no longer for sale. Students are often overwhelmed by large courses, especially when you provide all of your content at once. That's why Zippy allows you to "drip" your content. And while some “membership software” requires you to create special configurations and special coding to drip out content, with Zippy it's as easy as clicking a few buttons during the “Course Scheduling” part of the course builder. When someone buys your course, the student experience BEGINS. And unless you stay in touch with your students, they may fall behind, lose motivation, or feel left alone. That’s why strategic follow-up emails are so important. Unfortunately with other platforms, this is a challenge. But Zippy has automatic follow-up emails built-in. Zippy Courses is designed and tested to give your students a professional classroom experience. But it's your course, so it should look the way you want it to look. That's why we made sure you can customize your course pages to match your brand. Will Zippy Courses integrate with my other services? 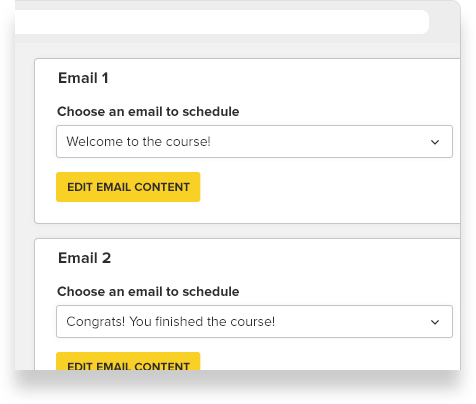 Right now, Zippy Courses seamlessly integrates with these email providers: ActiveCampaign, AWeber, Campaign Monitor, Constant Contact, Convertkit, Drip, GetResponse, Infusionsoft, Mailchimp and Ontraport. Does Zippy Courses work with [WordPress, Squarespace, Wix]? I’ve got good news: no matter what website service you use, you can use Zippy Courses. Why? Because Zippy Courses handles the hosting of your course website. You do not need to install anything on your website. What if I don’t have my own website yet? When you get Zippy Courses, you get a free CUSTOM sub domain at ZippyCourses. BLANK.ZippyCourses.com. So, if you want it to be your name, it would appear like derekhalpern.zippycourses.com. The best part? When you later buy your own domain name, you can transfer everything from subdomain.zippycourses.com to your new subdomain within a few minutes (our team will help you do it). How many courses can I create on Zippy Courses? When you get our Standard plan, you can create UNLIMITED courses. So, whether you want to create 1 online course… or 100… there’s no limit on how many courses you can create. How does Zippy Courses bill me? Zippy Courses has several different monthly billing options. We also offer special annual subscription prices at a discounted rate. The best part? There are no long-term commitments, and you can cancel any time. "I finally found the perfect opportunity to dig into Zippy Courses. A client started a Real Estate Education business, and we broke out their curriculum into an online video course with 2 units, and 6 lessons. 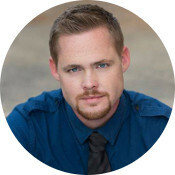 I'm not a designer, and I'm not a coder, but I was able to whip up the entire online course with Zippy Courses in about 5 days, ready for my clients to drive sales to it from their radio show."